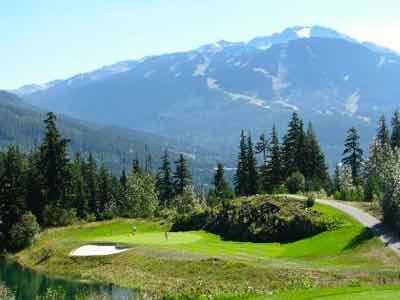 Whistler BC or Whistler Blackcomb - Not Just For Skiers! 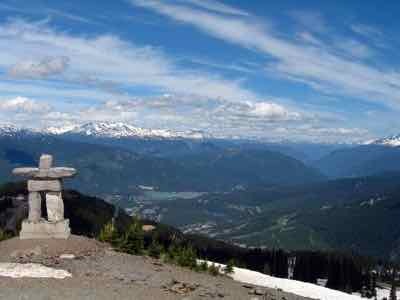 Whistler BC... or Whistler Blackcomb as the resort is known... is located in the Coast Mountains of British Columbia. It's near the foot of Garibaldi Provincial Park's 10,000 foot peaks (3,000 m). ...AND... This ski resort is only about 78 miles (125 km) north of Vancouver. It was once a sleepy little ski town, but now it's been developed into a world class ski resort. The name of the town is actually the "Resort Municipality of Whistler"! Really. You may have heard about this area because of the 2010 Winter Olympics, but Whistler BC has always been ranked as one of the top mountain resorts in North America.... year round. We did some skiing years ago, but not so much recently. We found it a great area in summer. This resort area was originally known as "London Mountain"; it only officially became Whistler in 1965. Why Is It Called Whistler BC? Do the winds whistle through the mountains? No, its climate is really pretty mild considering its northern mountain location. OK, then what did the name come from? From a hoary marmot that's native to these hills. 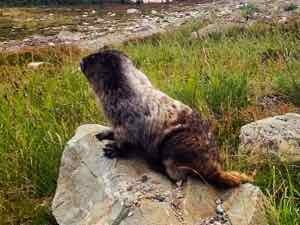 A marmot? So the area became known as Whistler Mountain. There are two great mountains for skiers and snowboarders. Whistler Mountain and Blackcomb Mountain. Thanks to the glaciers in the area, ski season often lasts into August. There are four championship golf courses for chasers of that little round white ball. You could ski in the morning and golf in the afternoon! There are hiking trails, a mountain bike park and rocks to climb. For the less active (or for the active to recover) there are restaurants, hotels, spas, and lots of shopping. That should pretty much tell you that it's a place almost anyone would enjoy. Whistler Village is a planned resort community that was designed in the 1960s. But there is a free Village Shuttle to help you get around. 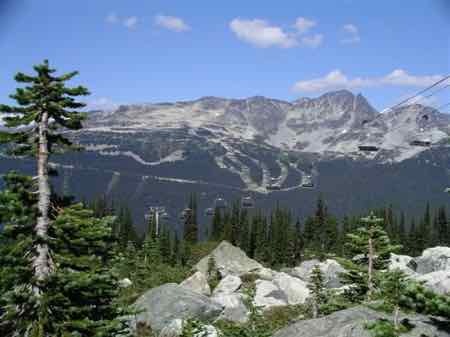 Whistler Mountain was a ski destination for years, but Blackcomb Mountain and the Village opened in 1980. It has a comfortable, European ambiance. This area has grown in popularity thanks to their hosting of the 2010 Winter Olympics, but they can handle the crowds. Whistler - Not Just For Skiers!